IPhone 5, 5C, 5S, 6S, 7, 7Plus, 8, 8 Plus, X, XS, XR, XS MAX. 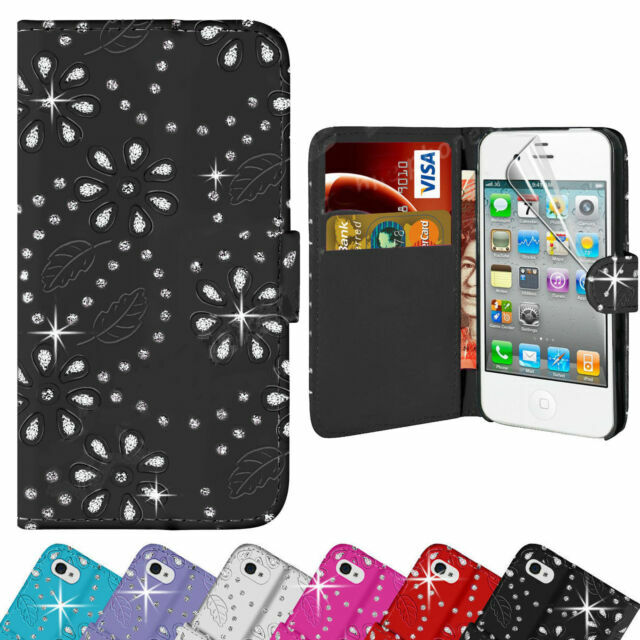 New Luxury PU Leather Card Holder Wallet Flip Case Cover for Apple iPhone Models. Comfortable Grip, Compact, Elegant & Stylish. Semi-Transparent to Maintain Your Phone's Modern Look. Good case for price but like a lot at this price range you don't get any plastic protection around top and bottom of phone edge. Had dropped my old iPhone 6 few times and it ended up with slight scratch marks at top and bottom. Otherwise a good case . I cannot understand how this item can be so cheap. Genuine leather wallet with slots for two cards and a strong magnetic catch. Phone held tightly, in fact quite difficult to remove phone once in the case. I am very pleased with this purchase. I am very pleased that I bought this wallet case. It looks really good, is very sturdy and does exactly what I wanted it for, to protect my iphone 6 plus. I haven't had it that long, but so far I am really pleased with my purchase. I’ve had many of these flip Waller phone covers, but this is definitely the best quality one of them all. Only downside, no plastic screen cover included so had to buy seperately.